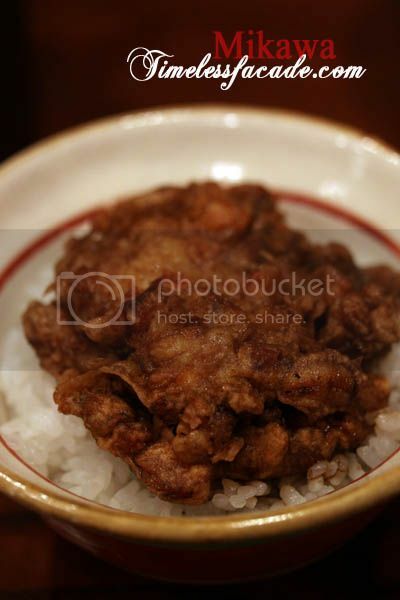 A visit to Tokyo or Japan in general, is never complete without a tempura stop. 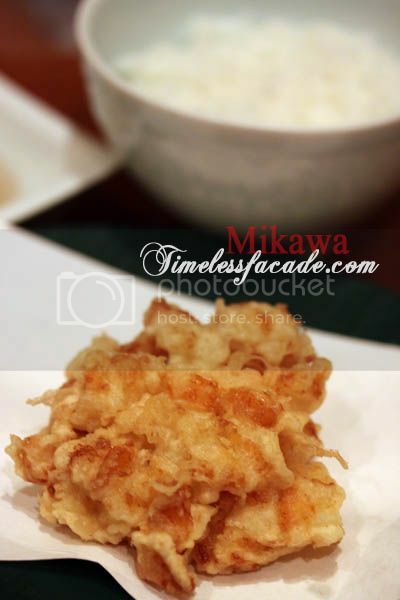 And what better place to have tempura than at Mikawa, coined the golden temple of tempura by The Japan Times in 2003. 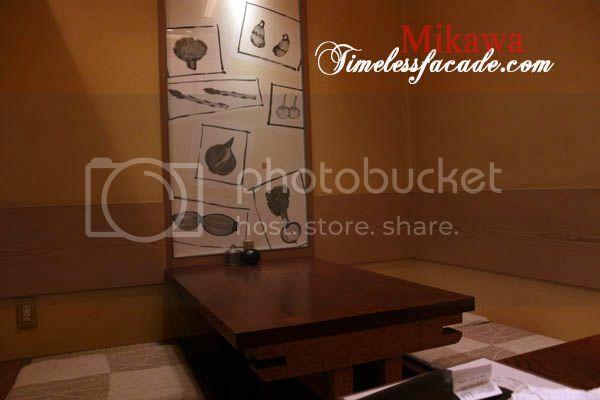 Mikawa's latest outlet (bringing the total number of outlets to 3), Mikawa Zezankyo, has also be awarded 1 star in the latest Michelin rankings. 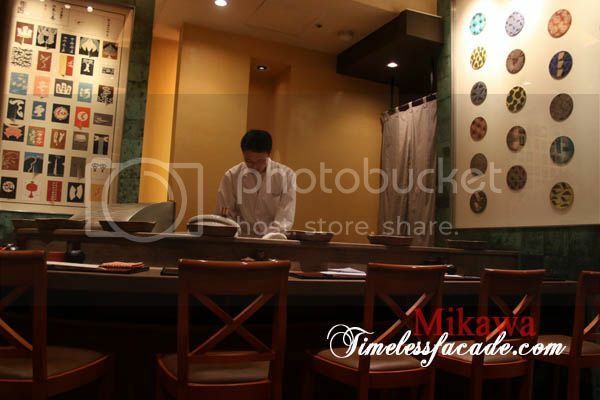 The owner and head chef of Mikawa, Tetsuya Saotome, is classic Edomae, which in the Edo period (1603 - 1867), referred to the practise of using seafood only found in Tokyo Bay and locally grown vegetables. The outlet at Roppongi proved rather difficult to find as it was hidden on the 2nd floor of the Roppongi Hills residences. And once again, like many other famed eateries in Tokyo, there was no visible signboard. 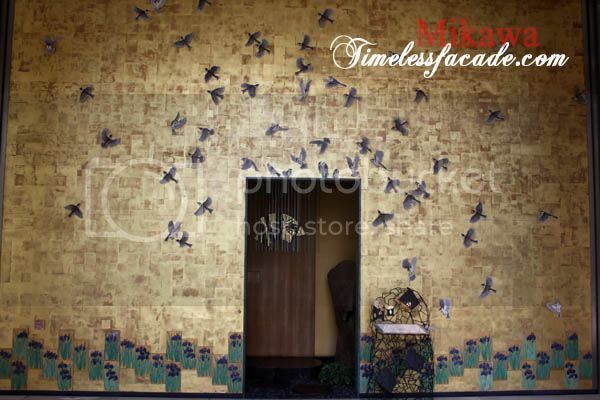 The beautifully tiled wall with images of birds fluttering around the doorway is giveaway though (I remember seeing pictures of it online). The interior consists mainly of a counter table where you can watch the chef at work and 2 small tatami rooms, 1 of which I had the opportunity to occupy. Honestly I was a little miffed when I saw the size of the prawns, especially since I went to Mikawa for lunch very soon after being exposed to the huge wild tiger prawns at Aronia. I was expecting/hoping for prawns around the same size. But I digress. 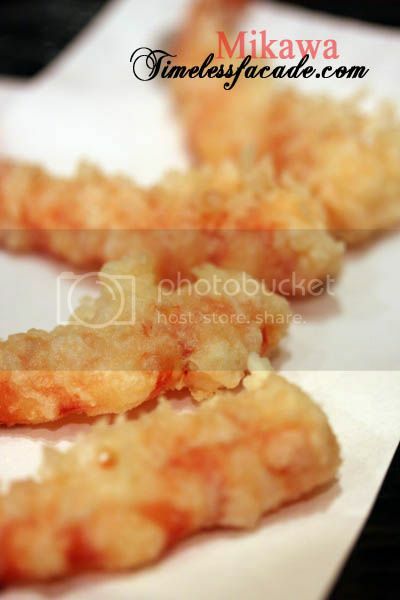 The quality of prawn tempura is never determined by it's size. And boy oh boy, it was love at first taste. 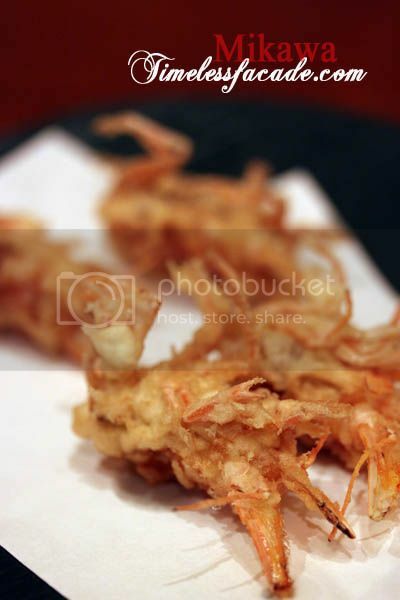 Extremely fresh with the batter ethereally light, allowing the sweetness and texture of the prawn to permeate through. 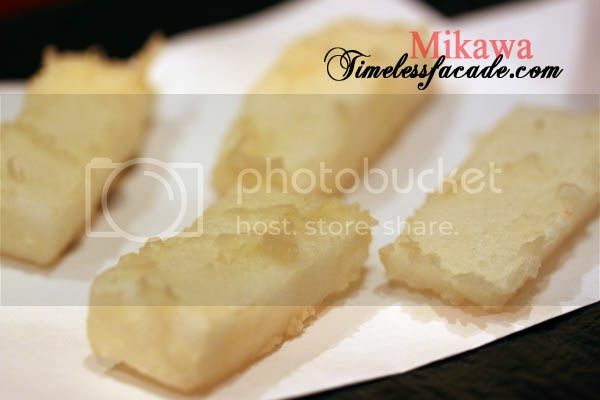 I never thought tempura could taste this good! Prawn heads are known to be very high in cholesterol so I usually avoid them as far as possible. Having said that, it was well worth the health risk. Crisp and very tasty with a nice hint of prawn - this goes into my list of healthy eating exceptions together with foie gras. Seconds, anyone? Apparently Japanese Whiting was in season so it made it's way onto the menu. Honestly I wasn't too impressed by the fish as the batter on it did seem a wee bit thicker than what I would have expected, especially in comparison to the prawns. The fish itself wasn't that sweet either. Not my cup of tea. 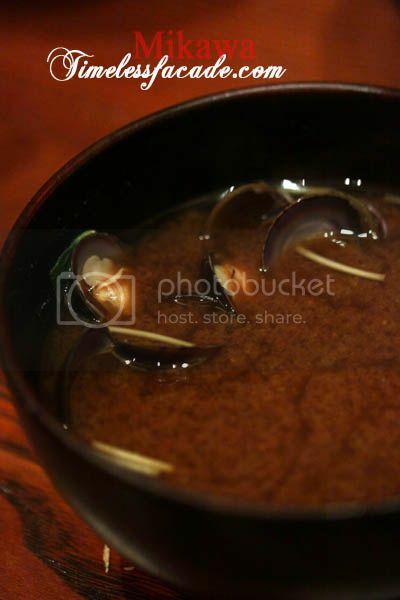 Now the anago was a totally different story from the kisu. Crisp on the outside without the batter being overly thick and the flesh, naturally sweet and finer than your normal unagi. Good thing the portions were quite generous and we gladly lapped it all up. Another fine example of light as air batter, the squid was nothing short of excellent. Not too chewy yet retaining a fair bit of bite. And you get two pieces each. How nice is that? There was another dish with 3 kinds of vegetables but I must have missed out on a shot of it. Though the batter was light, I didn't quite take to the eggplant and green pepper, but that's just personal preference. The mushroom though, was quite nice. Juicy and earthy. For the finale, you have a choice of having it 3 ways - Tempura style with salt or tempura sauce, Ten Cha style where the kakiage is served on a bed of steamed rice that has been topped with Japanese clear soup and finally, Ten Don style, where the kaikage is served on steamed rice that has been lightly topped with tempura sauce. However style you want it done is entirely up to personal preferences. For us, we had the original Tempura style and the Ten Don style, both of which were very good with bits of scallop and hen clams providing a nice savoury taste. Very much like eating seafood fritters sans the reused oil taste. 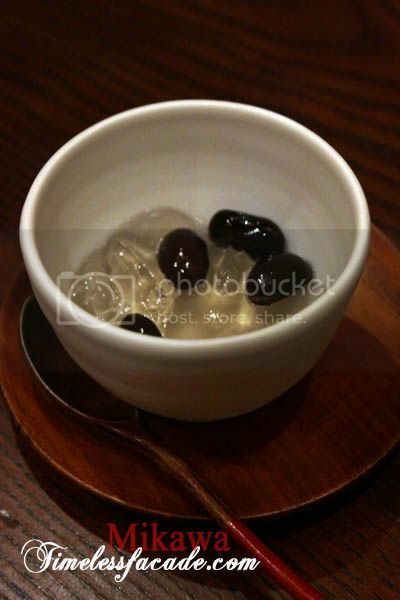 A simple yet satisfying conclusion to our heavy lunch - Azuki beans served on a base of quivery jelly. I certainly wouldn't expect more. 11,760¥ (SGD$183) for 2 tempura set lunches might seem a little whacky but hey, it was a great meal! Never have I eaten such light tempura in my life and Mikawa ranks top of my charts, miles apart from wherever I've eaten before. 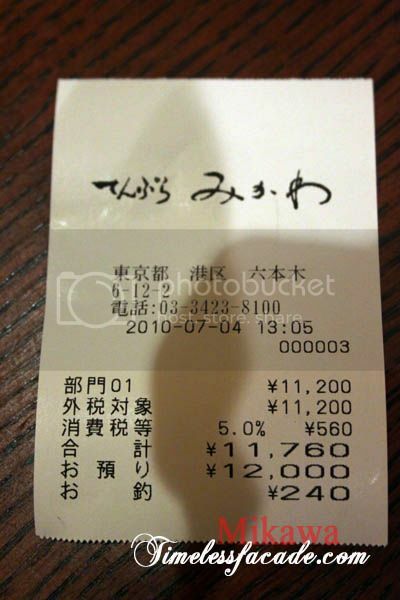 On a side note, dinner is even more expensive - in excess of 10,000¥ per set, so lunch might be a more viable option. At tempura joints like such, it's always best to sit at the counter where you can get tempura fresh out from the fryer. 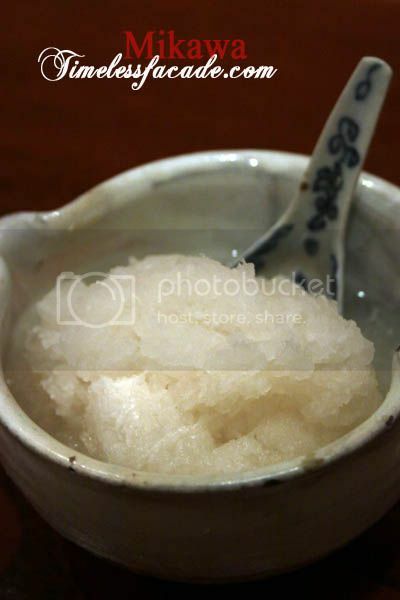 Try Tenshin at The Regent Singapore. 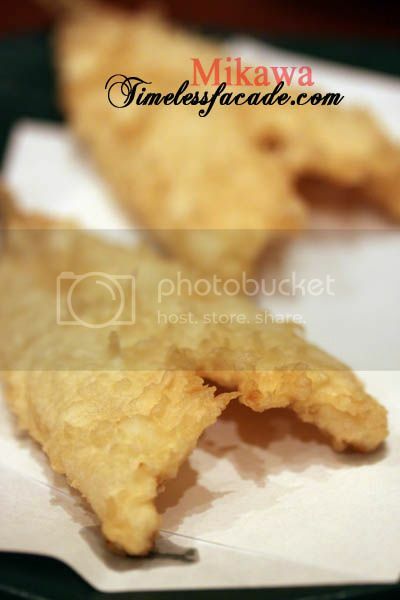 It's undoubtedly the best tempura you can get on the island. 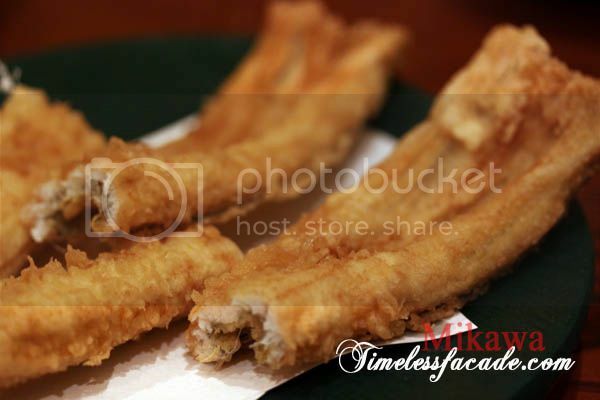 The batter is really ethereal light, nothing like the thick kind you ate at Inagiku. Go for the lunch sets $30-$85, they're more affordable. Tenshin serves excellent tempura. Oh that looks really good! I had some really good tempura in Tokyo as well, it's quite different from the tempura we get here. alkanphel: Yea it's really quite different from Singapore. Where did you try in Tokyo?